Jose Mourinho only expects one more signing before the transfer deadline after struggling to mask his anger following Manchester United’s defeat to Liverpool. United were thrashed 4-1 by Liverpool in Saturday’s International Champions Cup pre-season encounter as a makeshift side struggled without the club’s World Cup players. Although midfielder Andrea Pereira impressed with a first half equaliser from a free-kick, Liverpool ran out comfortable winners after Daniel Sturridge, Sheyi Ojo and Xherdan Shaqiri added to Sadio Mane’s penalty. Mourinho cut a frustrated figure in the press conference afterwards - revealing that he wants to add another two players to his squad, but only expects one to arrive. "I would like two more players. I don't think I'm going to have two," he said. "I think it's possible I'm going to have one. 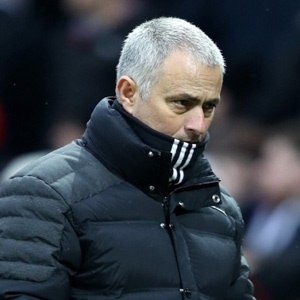 Mourinho says he learned nothing from the game in front of a crowd of 101,254, with nine first-teamers still missing after being handed extra time off for their exertions in the World Cup. "This is not even 30 per cent of my squad. What about Paul Pogba, Marouane Fellaini, Marcus Rashford, Jesse Lingard, Nemanja Matic and Antonio Valencia? This is our squad,” he said.